Take a journey into the Icelandic countryside with this 10-day self-drive tour that starts and ends in Reykjavik, the capital city. Your drive brings you to numerous historical sites and natural attractions, including the magical Snæfellsjökull glacier, powerful waterfalls like Dettifoss and Gullfoss, the volcanic wonders of Lake Mývatn, the hot springs of the famous “Golden Circle” route and more. Begin your journey to Snæfellsjökull National Park on the Snæfellsnes Peninsula. The focal point here is undoubtedly the Snæfellsjökull glacier, believed by many to be one of Earth’s seven major energy centres. It was also the setting of Jules Verne’s famous novel Journey to the Centre of the Earth. Your drive along the coast also offers such sights as the Dritvík Cove, the Lóndrangar Cliffs, the Arnarstapi cliffs, the hamlet of Hellnar and other small fishing villages. For a fun photo opportunity and a blast from the past, we suggest a visit to Djúpalónssandur, a pebble-filled beach with the legendary “lifting stones” that were used in the old days to test men‘s strength for jobs on fishing boats. Do you have what it takes to lift these? Spend the first half of the day exploring more of Snæfelljsökull National Park before heading towards the majestic fjords on Tröllaskagi, the “Troll Peninsula”. Your drive takes you through the beautiful valley of Skagafjörður and the village of Hofsós, where we recommend a stop at the geothermal pool in for amazing views over the islands in the fjords. 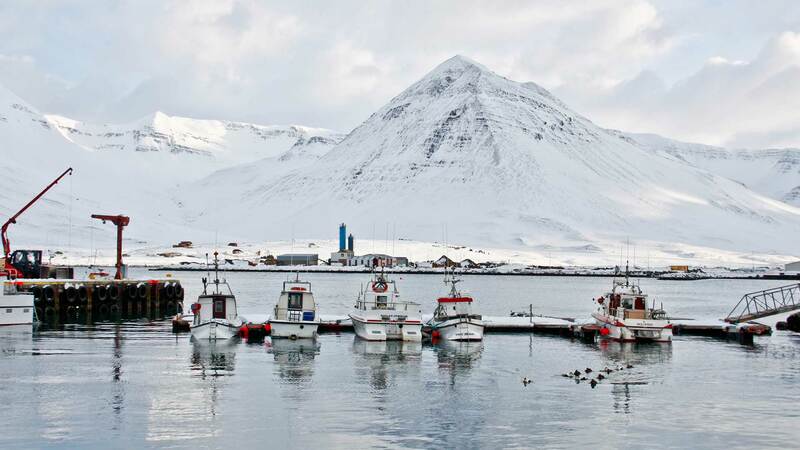 Then head to Siglufjörður, the historic centre of Iceland’s herring fleet and a charming little town well-suited for both nature and culture lovers. Spend the night in the Tröllaskagi area. Driving distance approx. 350 km / 218 mi. On your drive to Akureyri, the “Capital of North Iceland”, the scenery includes some of the most beautiful mountains, cliffs and fjords of Iceland. On arrival to the city, take a break to enjoy the cosy cafés and small shops. We also recommend taking a walk in the historical town centre along the streets of Hafnarstræti and Aðalstræti to view the old houses and visit the Nonni Museum. 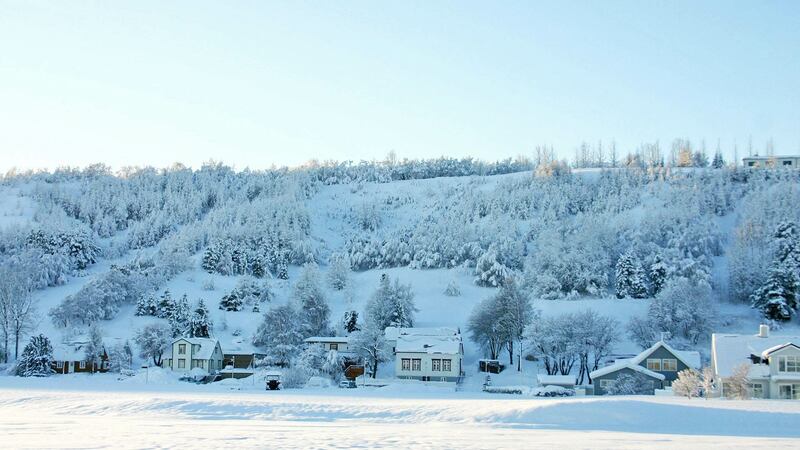 For those that want to hit the slopes, Akureyri has one of Iceland’s best ski areas. Another more leisurely option is to explore Eyjafjörður, the beautiful fjord where Akureyri is located. One of the notable sights in this area is Jólahúsið (“Christmas House”), where you can learn about Icelandic Yuletide traditions and the thirteen “Yule lads”, the local Santa alternatives. We also recommend the home-made ice cream from the nearby Holtsel farm, but remember to save some room for dinner at one of Akureyri’s charming restaurants! 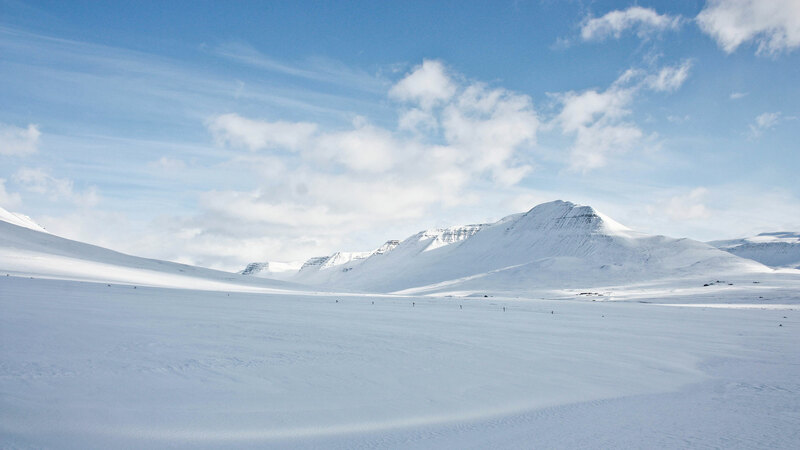 Spend the next three nights in the Akureyri area. Driving distance approx. 120 km / 75 mi. Start the day with a visit to Goðafoss (“Waterfall of the Gods”) on your way to Lake Mývatn, an area of surreal landscapes, hot springs and other unique geothermal features. Notable sights here include the sizzling mud-pots at Námafjall, the moon-like pseudo craters at Skútustaðir, the lava maze of Dimmuborgir and the Krafla volcanic area. End the day with a relaxing soak at the Mývatn Nature Baths, a pool of warm geothermal water drawn from depths of 2,500 meters (optional; not included). Then head back to the Akureyri area for another good night’s sleep. Driving distance approx. 204 km / 127 mi. This day is totally up to you! 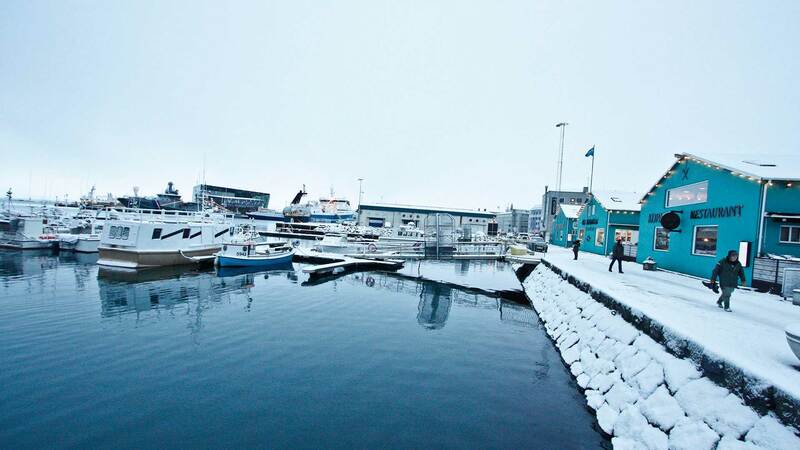 Among your many options, you can simply relax and enjoy the sights in Akureyri or take the car out for more exploration of Mývatn or the nearby fishing village of Húsavík. There are also optional guided day tours departing from the Akureyri town centre, such as an art and design walk, a visit to a local farm, a tour of the Icelandic Churches and more! Continue through beautiful West Iceland today. Notable sights on your way include the Grábrók volcanic crater, the Icelandic Settlement Centre in Borgarnes, Deildartunguhver—the largest hot spring in Europe—and the beautiful Hraunfossar and Barnafoss waterfalls. History or Nordic literature buffs may also find it worthwhile to stop at the medieval research institution of Snorrastofa in Reykholt, where Snorri Sturluson wrote the saga Heimskringla in the 13th century. Today's journey takes you up close to some of Iceland’s most popular attractions on the classic “Golden Circle” route. 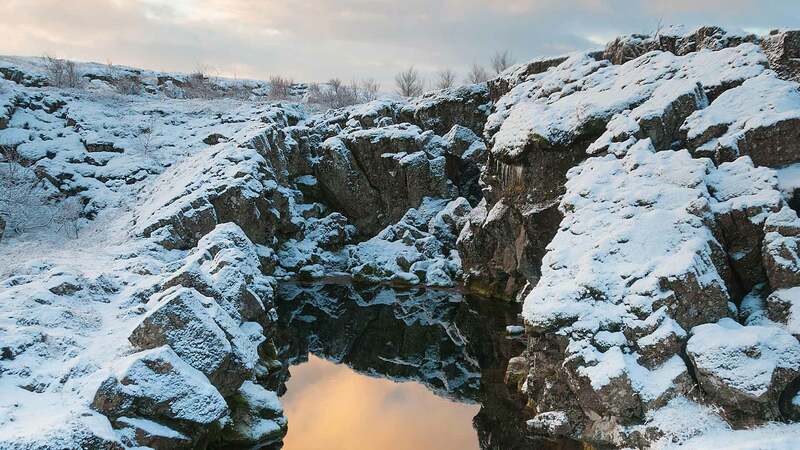 Start with a visit to Þingvellir National Park, a UNESCO World Heritage site, where you can walk on a path in the rift valley between the North American and Eurasian tectonic plates. 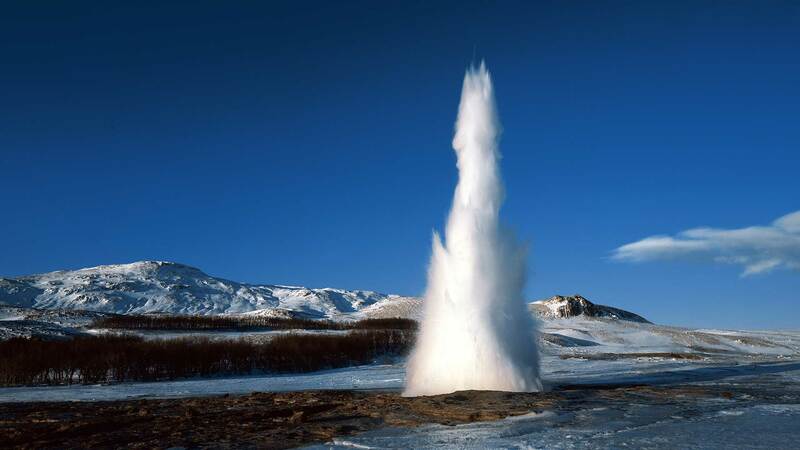 Next up is the Haukadalur geothermal area, home of Geysir—the original “geyser”—and its more active neighbour, Strokkur, which spouts water every few minutes. 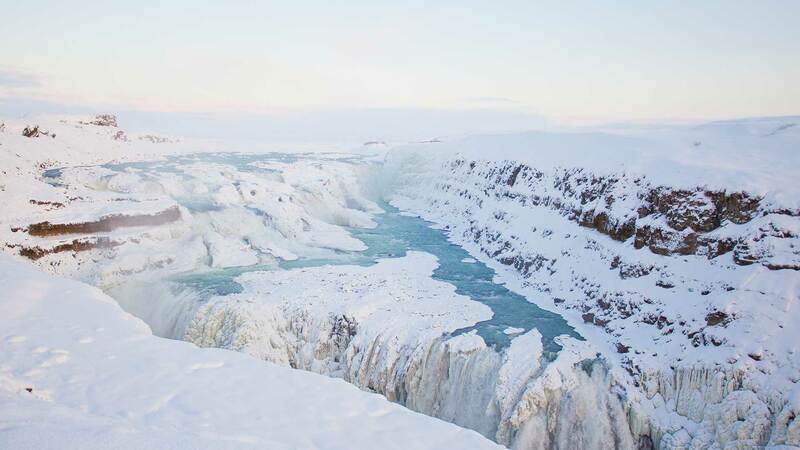 End the circle with a visit to the two-tiered Gullfoss waterfall, one of Iceland’s most memorable sights, which is especially majestic in the wintertime. Then head back to Reykjavik and spend the evening at your leisure. Driving distance approx. 142 km / 89 mi. Transfer by shuttle bus to Keflavík International Airport in time for your departure flight. If you depart in the afternoon, you can do some last minute shopping at some of Reykjavik´s boutiques or visit one of the city’s many interesting museums. You also have the possibility to add a trip to the Blue Lagoon* to your transfer (optional). Nordic Visitor did a fantastic job of planning our trip. My 5 year-old and I had a great time. The staff were incredibly helpful in finding us new accommodations when the worst storm in 23 years was coming and we would have been stuck (and missed our flight) had we stayed with our original itinerary. Everything was so easy - we were met at the airport, given a detailed map, cell phone, and vouchers - everything we needed for our self drive tour. Despite the storm, we still got to ride horses, see the geyser and Gullfoss, soak in the Blue Lagoon and explore a bit of Reykajvik. I really appreciated working with a travel agent who was also a mom of young kids - she put together an itinerary that we both enjoyed. I cannot say enough positive things about Nordic Visitor. I booked my trip to Iceland with this company. They were extremely pleasant to work with. Lars was my main guy, and he was very helpful throughout my trip, from preplanning to bumps along the way. One unique feature here that I did not have in all my world travels is the company gives you a local cell phone to use during your trip! This really came in handy when winter weather delayed a transfer out of the capitol, and Lars rebooked me at the Hotel Fron. For added safety and comfort, we highly recommend selecting a 4x4 vehicle type for winter. This package can be customized to meet your needs, and extra nights can be added on request. Contact us for details. 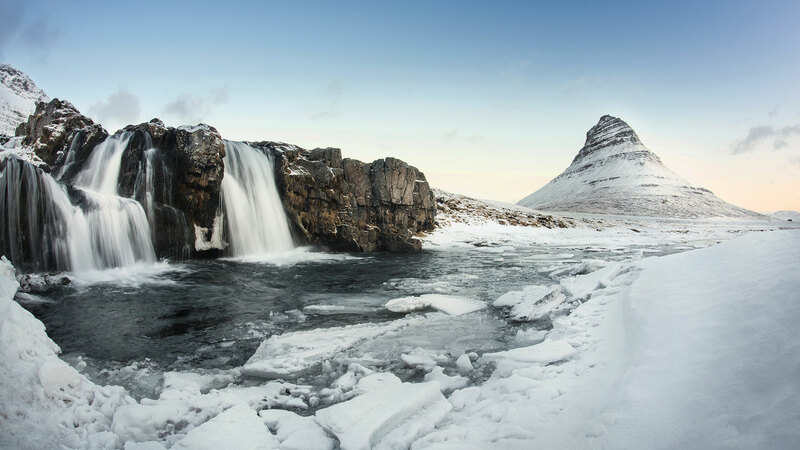 Although the winter climate in Iceland is generally mild compared to other northern European countries, the temperatures can drop below freezing at times. You should bring some windproof/waterproof outerwear and plenty of warm layers. The best months to experience the northern lights are October through April, with peak visibility from December through February. 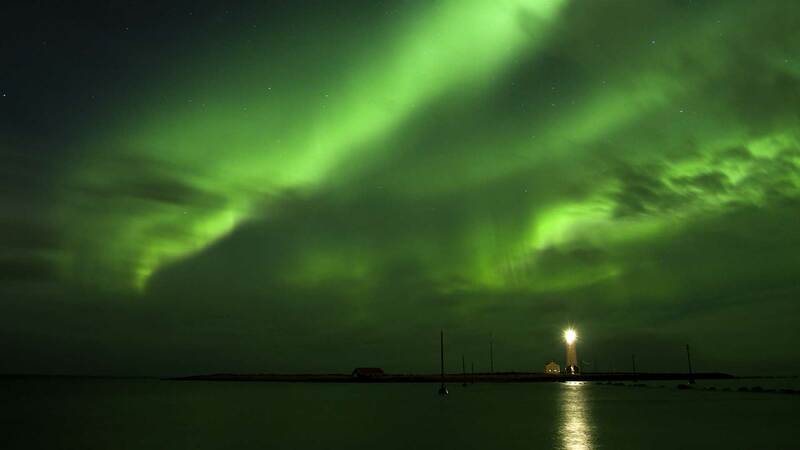 Please note that the northern lights are a natural phenomenon, so we cannot guarantee sightings.